Dr. Gilberto Jimenez sheds light on the prostate seed implant as a treatment option for prostate cancer. 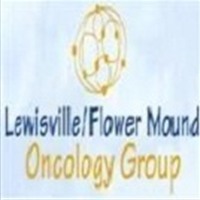 Lewisville, TX – Aug 17, 2018 – Prostate seed implants are a form of radiation treatment for prostate cancer. Also known as brachytherapy or internal radiation therapy, this treatment option is administered in two ways known as permanent brachytherapy and temporary brachytherapy. • Prostate seed implants treat early-stage prostate cancer that is still contained within the prostate. It can eliminate small and moderately sized prostate glands. • It can be combined with hormone therapy to shrink and treat a large prostate gland. For the high-grade type of prostate cancer, the patient will require both seed implantation and external beam radiotherapy. • A radiation oncologist and a urologist work together when performing the implant. The urologist performs a transrectal ultrasound while the radiation oncologist carries out the brachytherapy treatment. Transrectal ultrasound uses sound waves to project the video image of the prostate gland and allow the radiation oncologist to measure the size of the prostate, arrange the implantation and place the seeds. • Prostate seed implant is a less invasive procedure that eradicates prostate cancer cells with few side effects. It takes some weeks or months for the seeds to disintegrate and release radiation to the tumor. The procedure takes only an hour, and the patient can go home on the same day. • It has been proven to be a very effective, low-risk procedure for early-stage prostate cancer with fewer complications and side effects. Once the cancer cells are removed, there's no residual radioactive material in the prostate gland.